Part 106 The Health Consequences of Smoking: A Report of the Surgeon General. 2004. Tobacco. Appendix and Glossary. Studies. A word of wisdom. Published February 5, 2019 Filed under Uncategorized. Total of no comments in the discussion. Part 106 The Health Consequences of Smoking: A Report of the Surgeon General. 2004. Tobacco. Appendix and Glossary. Studies. AAA abdominal aortic aneurysm , AAI ankle-arm index, AANL adult acute nonlymphocytic leukemia , ABI ankle/brachial blood pressure index, ACS American Cancer Society, ADT aerodigestive tract, AGL acute granulocytic leukemia, AHA American Heart Association , AIDS acquired immunodeficiency syndrome, ALL acute lymphocytic leukemia, AMD age-related macular degeneration, AML acute myelocytic leukemia, –ANLL acute nonlymphocytic leukemia, ARI acute respiratory illness, ARIC Atherosclerosis Risk in Communities Study, AZT azidothymidine or zidovudine ,BMC bone mineral content, BMD bone mineral density, BMI body mass index, BRFSS Behavioral Risk Factor Surveillance System, CABG coronary artery bypass graft, CDC Centers for Disease Control and Prevention, CEJ cemento-enamel junction, CGL chronic granulocytic leukemia, CHD coronary heart disease, CHF congestive heart failure, CHS Cardiovascular Health Study, CLL chronic lymphocytic leukemia , CML chronic myelogenous leukemia, COLD chronic obstructive lung disease, CT computed tomography, CVD cardiovascular disease, DALE disability-adjusted life expectancy, DALYs disability-adjusted life years, DMF decayed, missing, or filled teeth , DNA deoxyribonucleic acid ,DR diabetic retinopathy, ED erectile dysfunction, EF etiologic fraction, eNOS endothelial nitric oxide synthase , EPA Environmental Protection Agency, ER estrogen receptor, FEV1 forced expiratory volume in one second, FL Flanders and Rothman model , FTC Federal Trade Commission, FVC forced vital capacity, GSTM1 glutathione transferase classes mu, H. pylori Helicobacter pylori, HBV hepatitis B virus, HDL high-density lipoprotein, HI hemagglutination inhibition, HIV human immunodeficiency virus, HMO health maintenance organization, HPV human papilloma virus, HRT hormone replacement therapy, ICD International Classification of Diseases, IDF incidence density fraction, Ig immunoglobulin, IHD ischemic heart disease, IL interleukin, IPF idiopathic pulmonary fibrosis, IUGR intrauterine growth retardation, IVF in vitro fertilization, kg kilogram, LBW low birth weight, LDL low-density lipoprotein, kg kilogram, LBW low birth weight LDL low-density lipoprotein, MI myocardial infarction, MRI magnetic resonance imaging, NAEC National Advisory Eye Council, NAT2 N-acetyltransferase 2, NCHS National Center for Health Statistics, NCI National Cancer Institute, NEI National Eye Institute, NAEC National Advisory Eye Council NAT2 N-acetyltransferase 2 NCHS National Center for Health Statistics NCI National Cancer Institute, NEI National Eye Institute, NRC National Research Council, NSAID, Nonsteroidal anti-inflammatory drug, OTA Office of Technology Assessment, PMN polymorphonuclear neutrophilic leukucyte, PSA prostate-specific antigen, RSV respiratory syncytial virus, SAMMMEC Smoking Attributable Mortality, Morbidity and Economic costs, SGA small for gestational age, SIDS sudden infant death syndrome, TNF tumor necrosis factor, UC ulcerative colitis, URI upper respiratory illness, WHO world Health Organization, YPLL years of potential life lost , YRBS Youth Risk Behavior Survey. A word of wisdom. 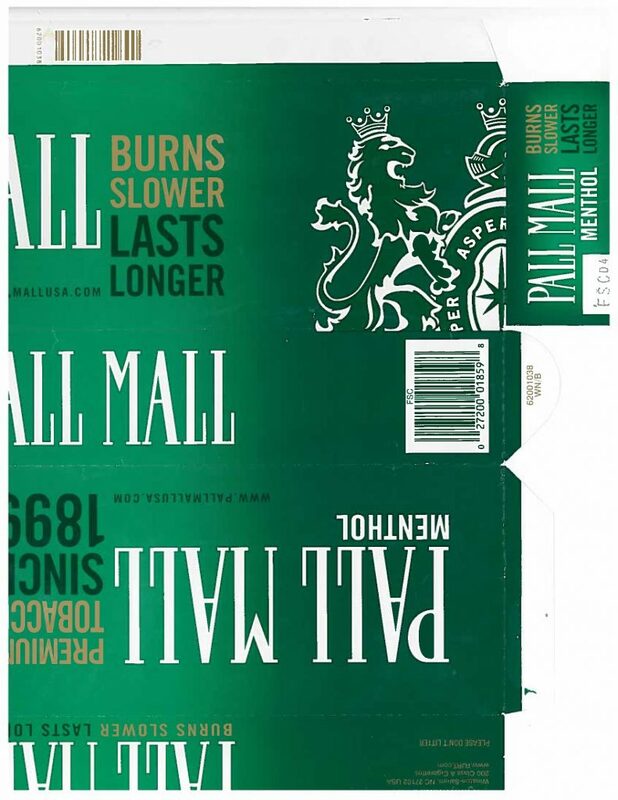 Surgeon General warning – tobacco use increase the risk of infertility, stillbirth, and low birthd weight. Publication lags, even short ones, prevent an up-to-the-minute inclusion of all recently published articles and data. Therefore, by the time the public reads this report, there may be additional published studies or data. To provide published information as current as possible, this Appendix lists more recent studies that represent major additions to the literature. Engel LS, Chow WH, Vaughan TL, Gammon MD, Risch HA, Stanford JL, Schoenberg JB, Mayne ST, Dubrow R, Rotterdam H, West AB, Blaser M, Blot WJ, Gail MH, Fraumeni JF Jr. Population attributable risks of esophageal and gastric cancers. Journal of the National Cancer Institute 2003;95(18): 1404–13. Pogoda JM, Preston-Martin S, Nichols PW, Ross RK. Smoking and risk of acute myeloid leukemia: results from a Los Angeles County case-control study. American Journal of Epidemiology 2002;155(6):546–53. Zheng T, Cantor KP, Zhang Y, Chiu BC-H, Lynch CF. Risk of brain glioma not associated with cigarette smoking or use of other tobacco products in Iowa. Cancer Epidemiology, Biomarkers and Prevention 2001;10(4):413–4. Brennan P, Bogillot O, Cordier S, Greiser E, Schill W, Vineis P, Lopez-Abente G, Tzonou A, Chang-Claude J, Bolm-Audorff U, Jöckel K-H, Donato F, Serra C, Wahrendorf J, Hours M, T’Mannetje A, Kogevinas M, Boffetta P. Cigarette smoking and bladder cancer in men: a pooled analysis of 11 case-control studies. International Journal of Cancer 2000;86(2):289–94. Brennan P, Bogillot O, Greiser E, Chang-Claude J, Wahrendorf J, Cordier S, Jöckel K-H, Lopez-Abente G, Tzonou A, Vineis P, Donato F, Hours M, Serra C, Bolm-Audorff U, Schill W, Kogevinas M, Boffetta P. The contribution of cigarette smoking to bladder cancer in women (pooled European data). Cancer Causes and Control 2001;12(5):411–7. Chiu BC-H, Lynch CF, Cerhan JR, Cantor KP. Cigarette smoking and risk of bladder, pancreas, kidney, and colorectal cancers in Iowa. Annals of Epidemiology 2001;11(1):28–37. Marcus PM, Hayes RB, Vineis P, Garcia-Closas M, Caporaso NE, Autrup H, Branch RA, Brockmöller J, Ishizaki T, Karakaya AE, Ladero JM, Mommsen S, Okkels H, Romkes M, Roots I, Rothman N. Cigarette smoking,N-acetyltransferase 2 acetylation status, and bladder cancer risk: a case-series meta-analysis of a gene-environment interaction. Cancer Epidemiology, Biomarkers and Prevention 2000;9(5): 461–7. Band PR, Le ND, Fang R, Deschamps M. Carcinogenic and endocrine disrupting effects of cigarette smoke and risk of breast cancer. Lancet2002;360(9339): 1044–9. Couch FJ, Cerhan JR, Vierkant RA, Grabrick DM, Therneau TM, Pankratz VS, Hartmann LC, Olson JE, Vachon CM, Sellers TA. Cigarette smoking increases risk for breast cancer in high-risk breast cancer families. Cancer Epidemiology, Biomarkers and Prevention 2001;10(4):327–32. Lash TL, Aschengrau A. A null association between active or passive cigarette smoking and breast cancer risk. Breast Cancer Research and Treatment 2002; 75(2):181–4. Terry PD, Rohan TE. Cigarette smoking and the risk of breast cancer in women: a review of the literature. Cancer Epidemiology, Biomarkers and Prevention 2002;11(10 Pt 1):953–71. Castellsagué X, Muñoz N. Chapter 3: cofactors in human papillomavirus carcinogenesis-role of parity, oral contraceptives, and tobacco smoking. Journal of the National Cancer Institute Monographs 2003; (31):20–8. Wacholder S. Chapter 18: statistical issues in the design and analysis of studies of human papilloma-virus and cervical neoplasia. Journal of the National Cancer Institute Monographs 2003;(31):125–30. Morimoto LM, Newcomb PA, Ulrich CM, Bostick RM, Lais CJ, Potter JD. Risk factors for hyperplastic and adenomatous polyps: evidence for malignant potential? Cancer Epidemiology, Biomarkers and Prevention 2002;11(10 Pt 1):1012–8. Terry P, Ekbom A, Lichtenstein P, Feychting M, Wolk A. Long-term tobacco smoking and colorectal cancer in a prospective cohort study. International Journal of Cancer 2001;91(4):585–7. Terry PD, Miller AB, Rohan TE. Prospective cohort study of cigarette smoking and colorectal cancer risk in women. International Journal of Cancer 2002;99(3): 480–3. Tiemersma EW, Kampman E, Bueno de Mesquita HB, Bunschoten A, van Schothorst EM, Kok FJ, Kromhout D. Meat consumption, cigarette smoking, and genetic susceptibility in the etiology of colorectal cancer: results from a Dutch prospective study. Cancer Causes and Control 2002;13(4):383–93. Weiderpass E, Baron JA. Cigarette smoking, alcohol consumption, and endometrial cancer risk: a population-based study in Sweden. Cancer Causes and Control 2001;12(3):239–47. Wu AH, Wan P, Bernstein L. A multiethnic population-based study of smoking, alcohol and body size and risk of adenocarcinomas of the stomach and esophagus (United States). Cancer Causes and Control 2001; 12(8):721–32. Altieri A, Bosetti C, Talamini R, Gallus S, Franceschi S, Levi F, Dal Maso L, Negri E, La Vecchia C. Cessation of smoking and drinking and the risk of laryngeal cancer. British Journal of Cancer 2002;87(11): 1227–9. Chen Z-M, Liu B-Q, Boreham J, Wu Y-P, Chen J-S, Peto R. Smoking and liver cancer in China: case-control comparison of 36,000 liver cancer deaths vs. 17,000 cirrhosis deaths. International Journal of Cancer 2003; 107(1):106–12. 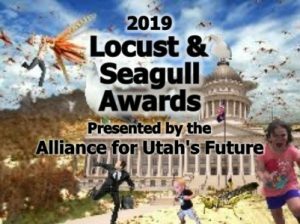 Engel LS, Taioli E, Pfeiffer R, Garcia-Closas M, Marcus PM, Lan Q, Boffetta P, Vineis P, Autrup H, Bell DA, Branch RA, Brockmoller J, Daly AK, Heckbert SR, Kalina I, Kang D, Katoh T, Lafuente A, Lin HJ, Romkes M, Taylor JA, Rothman N. Pooled analysis and meta-analysis of glutathione S-transferase M1 and bladder cancer: a HuGE review. American Journal of Epidemiology 2002;156(2):95–109. Le Marchand L, Guo C, Benhamou S, Bouchardy C, Cascorbi I, Clapper ML, Garte S, Haugen A, Ingelman-Sundberg M, Kihara M, Rannug A, Ryberg D, Stucker I, Sugimura H, Taioli E. Pooled analysis of the CYP1A1 exon 7 polymorphism and lung cancer (United States). Cancer Causes and Control2003;14(4):339–46. Lee WJ, Brennan P, Boffetta P, London SJ, Benhamou S, Rannug A, To-Figueras J, Ingelman-Sundberg M, Shields P, Gaspari L, Taioli E. Microsomal epoxide hydrolase polymorphisms and lung cancer risk: a quantitative review. Biomarkers 2002;7(3):230–41. Znaor A, Brennan P, Gajalakshmi V, Mathew A, Shanta V, Varghese C, Boffetta P. Independent and combined effects of tobacco smoking, chewing and alcohol drinking on the risk of oral, pharyngeal and esophageal cancers in Indian men. International Journal of Cancer 2003;105(5):681–6. 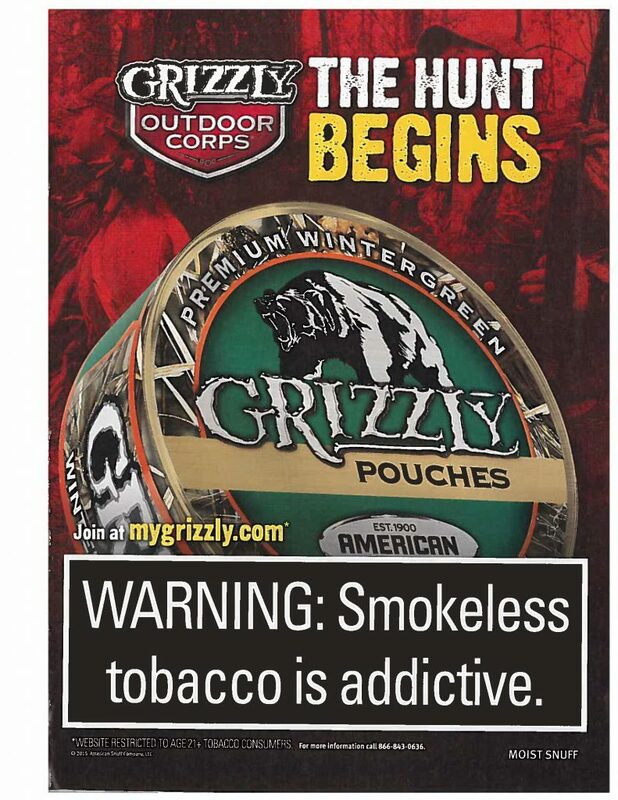 Grizzly pouches, warning – smokeless tobacco is addictive. Moist snuff. The hunt begins. Modugno F, Ness RB, Cottreau CM. Cigarette smoking and the risk of mucinous and nonmucinous epithelial ovarian cancer. Epidemiology2002;13(4): 467–71. Terry PD, Miller AB, Jones JG, Rohan TE. Cigarette smoking and the risk of invasive epithelial ovarian cancer in a prospective cohort study. European Journal of Cancer 2003;39(8):1157–64. Lowenfels AB, Maisonneuve P, Whitcomb DC, Lerch MM, DiMagno EP. Cigarette smoking as a risk factor for pancreatic cancer in patients with hereditary pancreatitis [letter]. Journal of the American Medical Association2001;286(2):169–70. Giles GG, Severi G, McCredie MR, English DR, Johnson W, Hopper JL, Boyle P. Smoking and prostate cancer: findings from an Australian case-control study. Annals of Oncology 2001;12(6):761–5. Lotufo PA, Lee I-M, Ajani UA, Hennekens CH, Manson JE. 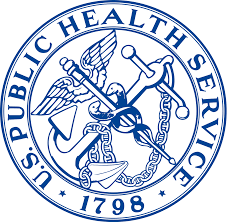 Cigarette smoking and risk of prostate cancer in the physicians’ health study (United States). International Journal of Cancer 2000;87(1):141–4. Brenner H, Arndt V, Bode G, Stegmaier C, Ziegler H, Stümer T. Risk of gastric cancer among smokers infected with Helicobacter pylori. International Journal of Cancer 2002;98(3):446–9. Chao A, Thun MJ, Henley SJ, Jacobs EJ, McCullough ML, Calle EE. Cigarette smoking, use of other tobacco products and stomach cancer mortality in US adults: the Cancer Prevention Study II. International Journal of Cancer 2002;101(4):380–9. Mao Y, Hu J, Semenciw R, White K, Canadian Cancer Registries Epidemiology Research Group. Active and passive smoking and the risk of stomach cancer, by subsite, in Canada. European Journal of Cancer Prevention 2002;11(1):27–38. Simán JH, Forsgren A, Berglund G, Florén CH. Tobacco smoking increases the risk for gastric adenocarcinoma among Helicobacter pylori-infected individuals. Scandinavian Journal of Gastroenterology 2001; 36(2):208–13. Wu AH, Wan P, Bernstein L. A multiethnic population-based study of smoking, alcohol and body size and risk of adenocarcinomas of the stomach and esophagus (United States). Cancer Causes and Control 2001;12(8):721–32. Albert CM, Chae CU, Grodstein F, Rose LM, Rexrode KM, Ruskin JN, Stampfer MJ, Manson JE. Prospective study of sudden cardiac death among women in the United States. Circulation 2003;107(16): 2096–101. Bazzano LA, He J, Muntner P, Vupputuri S, Whelton PK. Relationship between cigarette smoking and novel risk factors for cardiovascular disease in the United States. Annals of Internal Medicine 2003; 138(11):891–7. Beeh K-M, Micke P, Ksoll M, Buhl R. Cigarette smoking, but not sensitization to Alternaria, is associated with severe asthma in urban patients. Journal of Asthma 2001;38(1):41–9. Blanco-Cedres L, Daviglus ML, Garside DB, Liu K, Pirzada A, Stamler J, Greenland P. Relation of cigarette smoking to 25-year mortality in middle-aged men with low baseline serum cholesterol: the Chicago Heart Association Detection Project in Industry. American Journal of Epidemiology2002;155(4): 354–60. Godtfredsen NS, Osler M, Vestbo J, Andersen I, Prescott E. Smoking reduction, smoking cessation, and incidence of fatal and non-fatal myocardial infarction in Denmark 1976–1998: a pooled cohort study. Journal of Epidemiology and Community Health 2003;57(6):412–6. Houterman S, Verschuren WMM, Kromhout D. Smoking, blood pressure and serum cholesterol—effects on 20-year mortality. Epidemiology2003;14(1):24–9. Kurth T, Kase CS, Berger K, Schaeffner ES, Buring JE, Gaziano JM. Smoking and the risk of hemorrhagic stroke in men. Stroke 2003;34(5):1151–5. Lederle FA, Nelson DB, Joseph AM. Smokers’ relative risk for aortic aneurysm compared with other smoking-related diseases: a systematic review. Journal of Vascular Surgery 2003;38(2):329–34. Oren A, Vos LE, Uiterwaal CS, Grobbee DE, Bots ML. Cardiovascular risk factors and increased carotid intima-media thickness in healthy young adults: the Atherosclerosis Risk in Young Adults (ARYA) Study. Archives of Internal Medicine 2003;163(15):1787–92. Puranik R, Celermajer DS. Smoking and endothelial function. Progress in Cardiovascular Diseases 2003; 45(6):443–58. 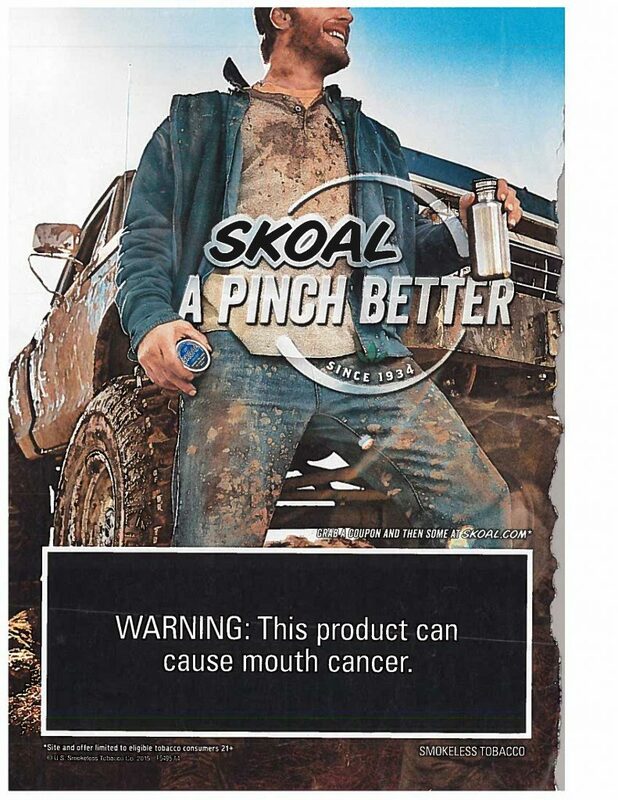 Skoal A pinch better. Smokeless tobacco. 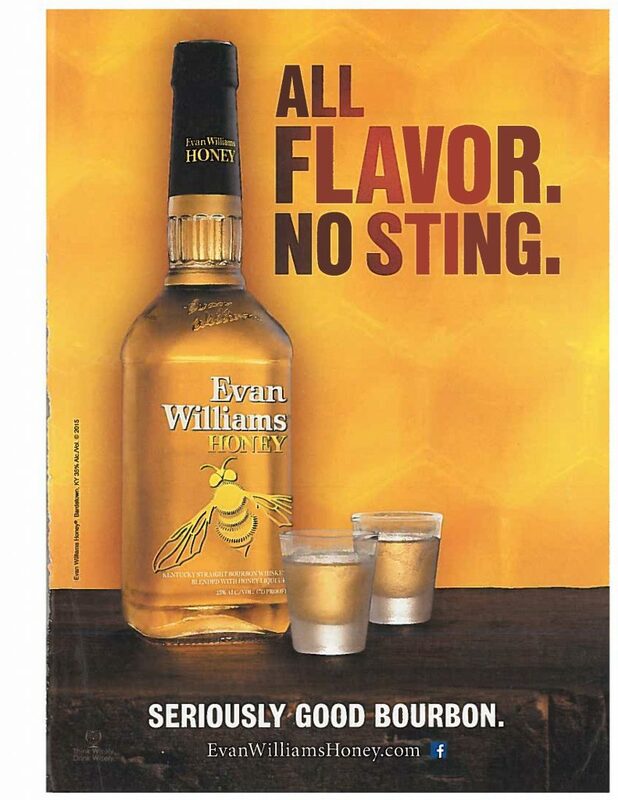 Warning this product can cause mouth cancer. Apostol GG, Jacobs DR Jr, Tsai AW, Crow RS, Williams OD, Townsend MC, Beckett WS. Early life factors contribute to the decrease in lung function between ages 18 and 40: the Coronary Artery Risk Development in Young Adults Study. American Journal of Respiratory and Critical Care Medicine2002;166(2): 166–72. Benseñor IM, Cook NR, Lee I-M, Chown MJ, Hennekens CH, Buring JE, Manson JE. Active and passive smoking and risk of colds in women. Annals of Epidemiology 2001;11(4):225–31. Connett JE, Murray RP, Buist AS, Wise RA, Bailey WC, Lindgren PG, Owens GR, the Lung Health Study Research Group. Changes in smoking status affect women more than men: results of the Lung Health Study. American Journal of Epidemiology 2003;157(11): 973–9. Farr BM, Bartlett CL, Wadsworth J, Miller DL. Risk factors for community-acquired pneumonia diagnosed upon hospital admission: British Thoracic Society Pneumonia Study Group. Respiratory Medicine 2000;94(10):954–63. Farr BM, Woodhead MA, Macfarlane JT, Bartlett CL, McCraken JS, Wadsworth J, Miller DL. Risk factors for community-acquired pneumonia diagnosed by general practitioners in the community. Respiratory Medicine2000;94(5):422–7. Gajalakshmi V, Peto R, Kanaka TS, Jha P. Smoking and mortality from tuberculosis and other diseases in India: retrospective study of 43 000 adult male deaths and 35 000 controls. Lancet 2003;362(9383): 507–15. Gottlieb DJ, Wilk JB, Harmon M, Evans JC, Joost O, Levy D, O’Connor GT, Myers RH. Heritability of longitudinal change in lung function: the Framingham study. American Journal of Respiratory and Critical Care Medicine 2001;164(9):1655–9. Kolappan C, Gopi PG. Tobacco smoking and pulmonary tuberculosis. Thorax2002;57(11):964–6. Lundback B, Lindberg A, Lindstrom M, Ronmark E, Jonsson AC, Jonsson E, Larsson LG, Andersson S, Sandstrom T, Larsson K, Obstructive Lung Disease in Northern Sweden Studies. Not 15 but 50% of smokers develop COPD?—report from the Obstructive Lung Disease in Northern Sweden Studies. Respiratory Medicine 2003;97(2):115–22. Mannino DM, Buist AS, Petty TL, Enright PL, Redd SC. Lung function and mortality in the United States: data from the First National Health and Nutrition Examination Survey follow up study. Thorax 2003;58(5):388–93. Plaschke PP, Janson C, Norrman E, Björnsson E, Ellbjär S, Järvholm B. Onset and remission of allergic rhinitis and asthma and the relationship with atopic sensitization and smoking. American Journal of Respiratory and Critical Care Medicine 2000;162(3 Pt 1): 920–4. Ryu JH, Colby TV, Hartman TE, Vassallo R. Smoking-related interstitial lung diseases: a concise review. European Respiratory Journal 2001;17(1):122–32. Bouyer J, Coste J, Shojaei T, Pouly JL, Fernandez H, Gerbaud L, Job-Spira N. Risk factors for ectopic pregnancy: a comprehensive analysis based on a large case-control, population-based study in France. American Journal of Epidemiology 2003;157(3): 185–94. Castles A, Adams EK, Melvin CL, Kelsch C, Boulton ML. Effects of smoking during pregnancy: five meta-analyses. American Journal of Preventive Medicine 1999;16(3):208–15. Chang AB, Wilson SJ, Masters IB, Yuill M, Williams J, Williams G, Hubbard M. Altered arousal response in infants exposed to cigarette smoke. Archives of Disease in Childhood 2003;88(1):30–3. Chia SE, Lim ST, Tay SK, Lim ST. Factors associated with male infertility: a case-control study of 218 infertile and 240 fertile men. BJOG: an International Journal of Obstetrics and Gynaecology 2000;107(1): 55–61. 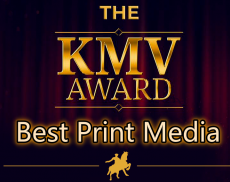 England LJ, Levine RJ, Qian C, Morris CD, Sibai BM, Catalano PM, Curet LB, Klebanoff MA. Smoking before pregnancy and risk of gestational hypertension and preeclampsia. American Journal of Obstetrics and Gynecology 2002;186(5):1035–40. Horne RSC, Ferens D, Watts A-M, Vitkovic J, Lacey B, Andrew S, Cranage SM, Chau B, Greaves R, Adamson TM. Effects of maternal tobacco smoking, sleeping position, and sleep state on arousal in healthy term infants. Archives of Disease in Childhood Fetal and Neonatal Edition 2002;87(2):F100–F105. Mitchell EA, Thompson JM, Robinson E, Wild CJ, Becroft DM, Clark PM, Glavish N, Pattison NS, Pryor JE. Smoking, nicotine and tar and risk of small for gestational age babies. Acta Paediatrica 2002;91(3): 323–8. 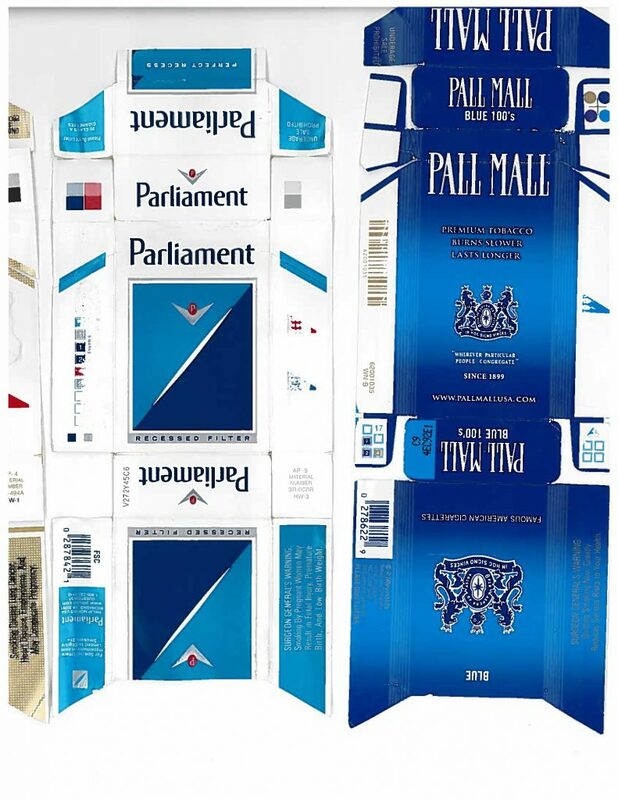 Parliament cigarettes and Pall Mall Blue 100’s Surgeon General’s warnings. Bergstrom J. Tobacco smoking and risk for periodontal disease. Journal of Clinical Periodontology 2003; 30(2):107–13. Bostrom L, Bergstrom J, Dahlen G, Linder LE. Smoking and subgingival microflora in periodontal disease. Journal of Clinical Periodontology2001;28(3): 212–9. Haffajee AD, Socransky SS. Relationship of cigarette smoking to attachment level profiles. Journal of Clinical Periodontology 2001;28(4):283–95. Haffajee AD, Socransky SS. Relationship of cigarette smoking to the subgingival microbiota. Journal of Clinical Periodontology 2001;28(5):377–88. Alberg A. The influence of cigarette smoking on circulating concentrations of antioxidant micronutrients. Toxicology 2002;180(2):121–37. Ngaage DL, Martins E, Orkell E, Griffin S, Cale AR, Cowen ME, Guvendik L. The impact of the duration of mechanical ventilation on the respiratory outcome in smokers undergoing cardiac surgery. Cardiovascular Surgery2002;10(4):345–50. Polidori MC, Mecocci P, Stahl W, Sies H. Cigarette smoking cessation increases plasma levels of several antioxidant micronutrients and improves resistance towards oxidative challenge. British Journal of Nutrition2003;90(1):147–50. Rodríguez Artalejo F, de Andrés Manzano B, Guallar-Castillón P, Puente Mendizabal MT, Gonzalez Enríquez J, del Rey Calero J. The association of tobacco and alcohol consumption with the use of health care services in Spain. Preventive Medicine 2000;31(5):554–61. Mirone V, Imbimbo C, Bortolotti A, Di Cintio E, Colli E, Landoni M, Lavezzari M, Parazzini F. Cigarette smoking as risk factor for erectile dysfunction: results from an Italian epidemiological study. European Urology2002;41(3):294–7. Nicolosi A, Moreira ED Jr, Shirai M, Bin Mohd Tambi MI, Glasser DB. Epidemiology of erectile dysfunction in four countries: cross-national study of the prevalence and correlates of erectile dysfunction. Urology2003;61(1):201–6. Delcourt C, Cristol JP, Tessier F, Leger CL, Michel F, Papoz L. Risk factors for cortical, nuclear, and posterior subcapsular cataracts: the POLA study. American Journal of Epidemiology 2000;151(5):497–504. Albrand G, Munoz F, Sornay-Rendu E, DuBoeuf F, Delmas PD. Independent predictors of all osteoporosis-related fractures in healthy postmenopausal women: the OFELY Study. Bone 2003;32(1): 78–85. Gerdhem P, Obrant KJ. Effects of cigarette-smoking on bone mass as assessed by dual-energy x-ray absorptiometry and ultrasound. Osteoporosis International 2002;13(12):932–6. Need AG, Kemp A, Giles N, Morris HA, Horowitz M, Nordin BE. Relationships between intestinal calcium absorption, serum vitamin D metabolites and smoking in postmenopausal women. Osteoporosis International 2002;13(1):83–8. Chen MH, Wu MS, Lee WC, Wang HP, Lin JT. A multiple logistic regression analysis of risk factors in different subtypes of gastric ulcer. Hepatogastroenterology 2002;49(44):589–92. Rosenstock S, J?rgensen T, Bonnevie O, Andersen L. Risk factors for peptic ulcer disease: a population based prospective cohort study comprising 2416 Danish adults. Gut 2003;52(2):186–93. 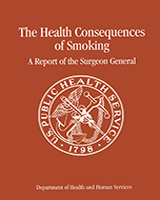 The Health Consequences of Smoking: A Report of the Surgeon General.